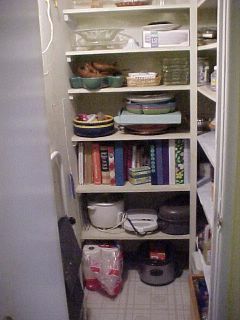 Just to prove that I finished my kitchen project-here is the pantry. The coolest thing about this is that the floor is visible once again! I should have posted a "before" photo. It was really a mess!